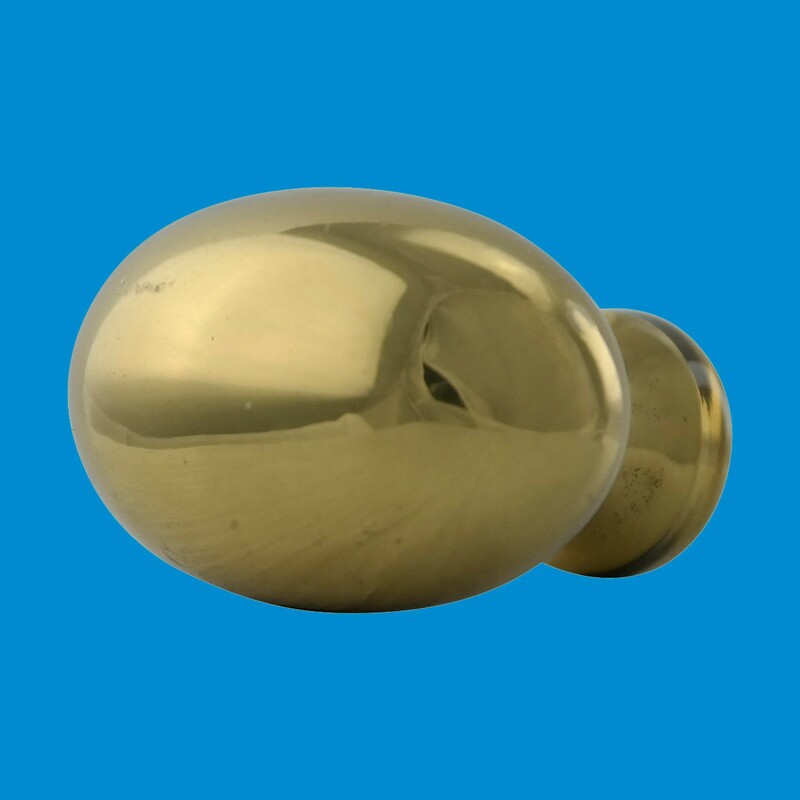 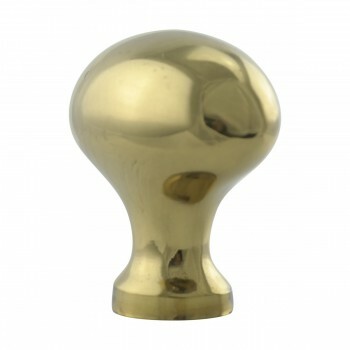 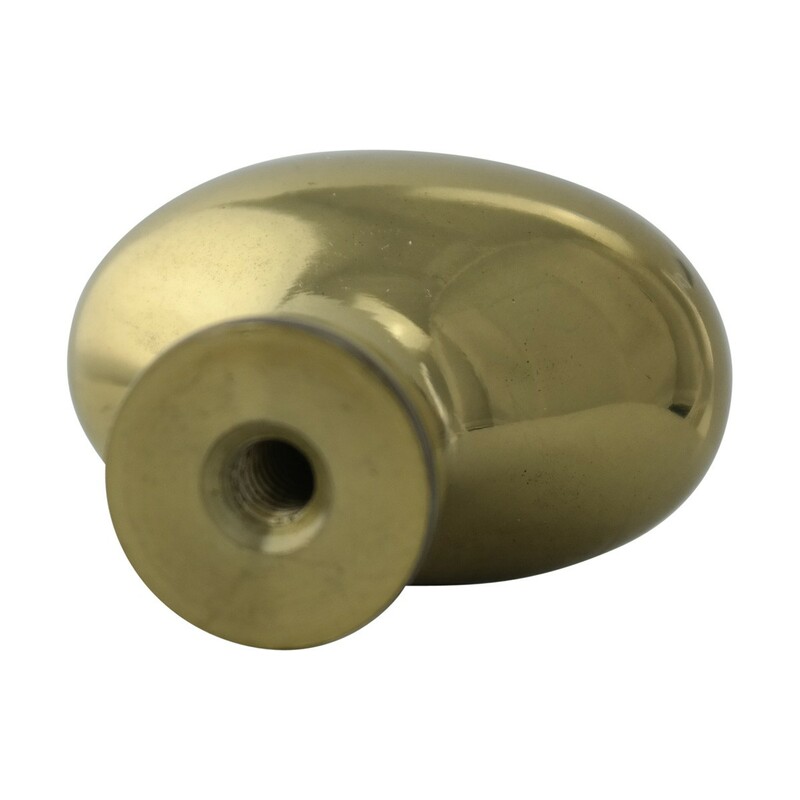 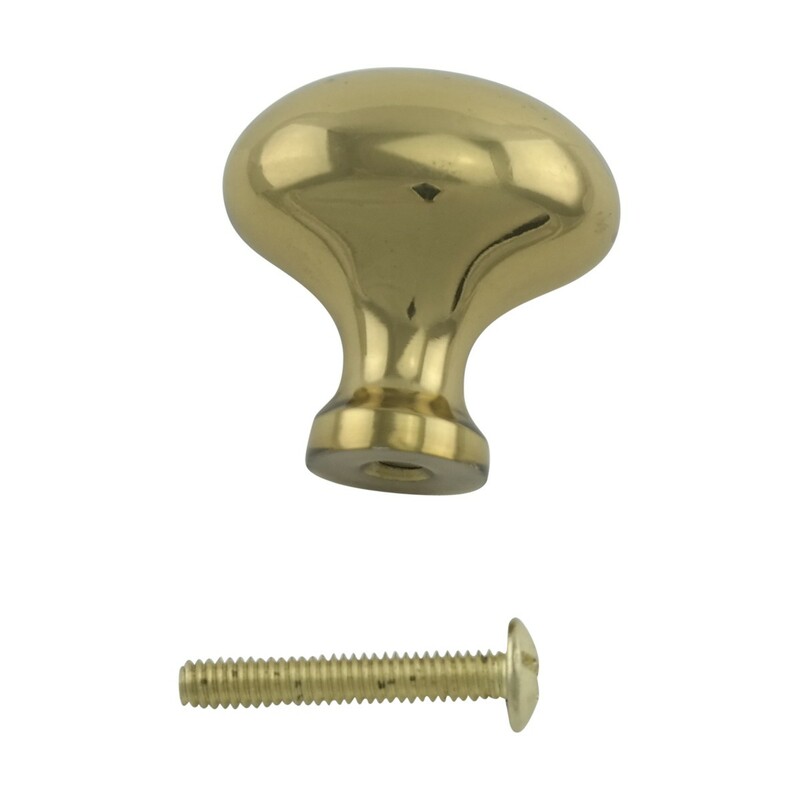 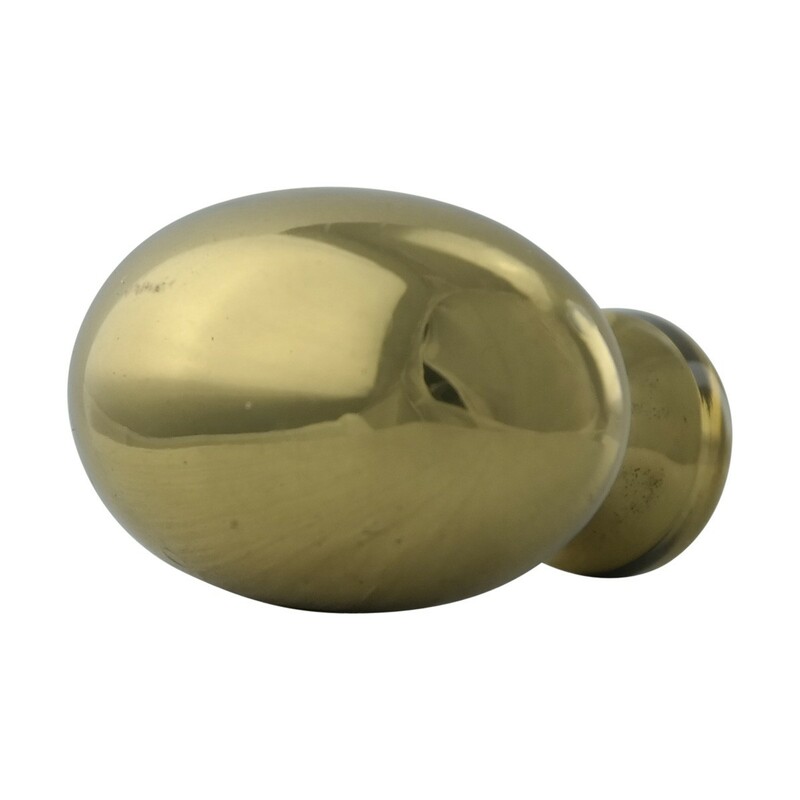 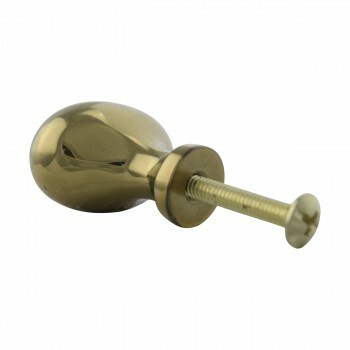 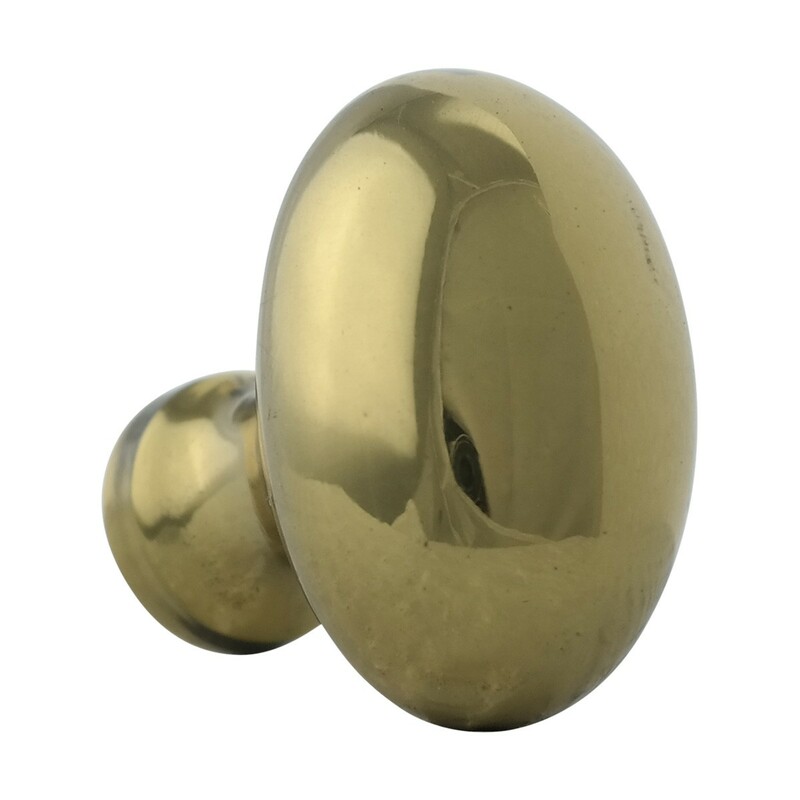 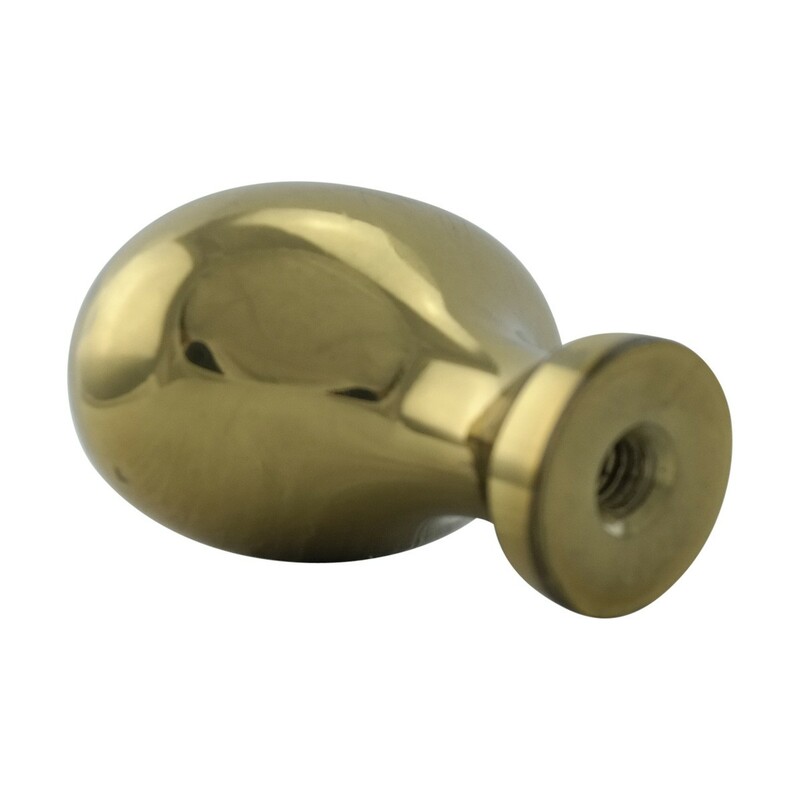 Cabinet Knob Bright Solid Brass 1 1/4"
Cabinet Hardware Knobs. Protected by our exclusive tarnish resistant in.RSF in. 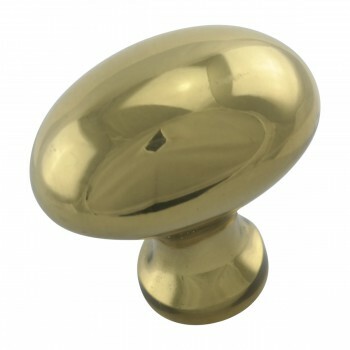 finish, this oval cabinet knob adds a classic feel to any decor. It measures 1 1/4 in. 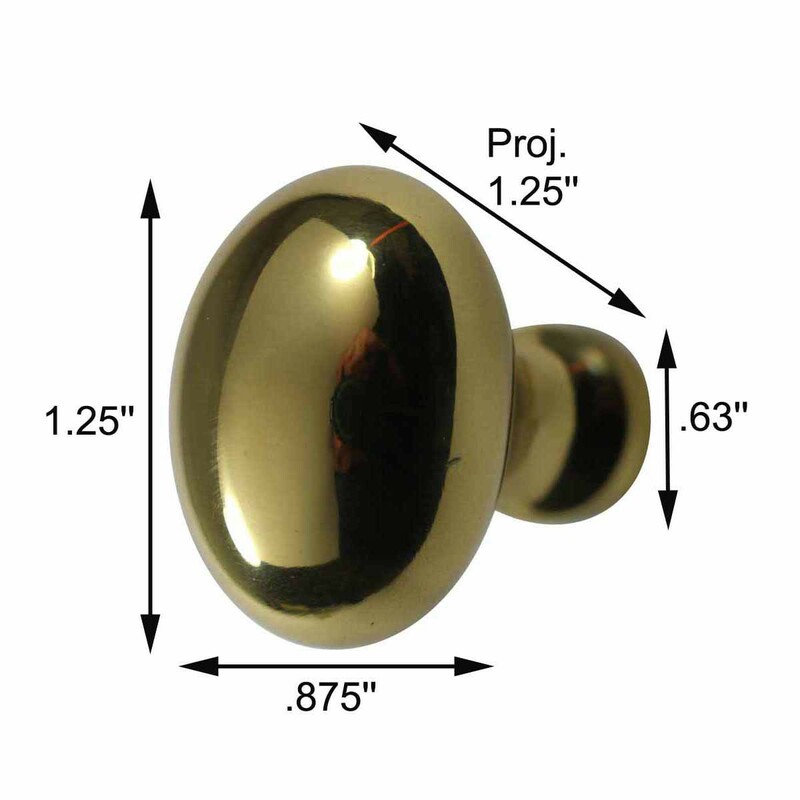 high by 7/8 in. wide with a 1 1/4 in. projection. 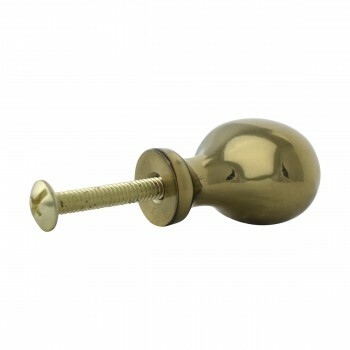 Sold individually, mounting hardware is included.